New Information Confirms Suicide - "Open and Shut"
Carmichael, California; Saturday December 18, 2004, (FTW) - The world has said its powerful, enduring and loving goodbye to Gary Webb. Approximately 300 people came from as far away as New Jersey to this quiet Sacramento suburb to honor a man who - against all odds - made the corrupt and venal world of corporations, covert operations and search-and destroy economics blink, stagger and show its true vulnerabilities. Webb's August 1996 Dark Alliance series in the San Jose Mercury News, and his 1998 book of the same name sparked an international outrage that led to congressional hearings, massive disclosures of criminal activity by the Central Intelligence Agency and the Reagan-Bush (I) White House. They also gave brief, if fleeting, hope to the oppressed - from America's inner cities to villages and farms from Mexico to Colombia - that justice might not be the sole province of a parallel universe, untouched and unreachable from the world in which we "the abandoned ones" must live. But even as his memorial service was a stirring tribute to a man who changed our world, Gary's passing was not without controversy and a just few more cheap shots for which his courageous surviving family has paid the inevitable price. That was the nature of Gary's life and - given his experience since 1996 - he would/should have expected this. To be fair, these follow-on blows are also an inevitable byproduct of all suicides for which the one pulling the trigger must bear some responsibility. The Los Angeles Times' obituary, published just hours after Webb's body was discovered, drew universal outrage at the service, not only from Webb's family but also from about eight of his long-time former colleagues - professional journalists and writers all - who showed up to defy the way Gary's life had been distorted by corporate press in (as of last count) 73 obituaries published in the US and around the world. Most of Gary's obituaries were cut-and-paste jobs using material from the Times and Associated Press which explains the Times' rush to put their "stink" on Gary's passing as quickly as possible. The L.A. Times obituary was published shortly after midnight on Sunday December 12th. Emmy Award-winning former CBS News producer Kristina Borjesson, herself a brutal victim of the mainstream media's "buzz saw", sat quietly in the crowded hall paying her respects. She had come all the way from New Jersey and as I was leaving to come home on the last cleared flight out of Sacramento's fog-shrouded airport, she missed her flight home and probably had to spend the night there. This is what friends do for each other. The Times and the major press had to kill Gary Webb a second time just to make sure it stuck. He, like his incredible and professional journalism, was that hard to kill. Otherwise they might all have all been shamed for their relentless continuing extermination of anything resembling real investigative journalism. As much as I know that Gary appreciated the many glowing tributes to his work, I also thought I heard him rage at some of the pseudo-journalism and malicious spin that followed his December 11th suicide because it came from people who should have been his friends and behaved like it. But for those who were present, who spoke, and who sent messages to his family and to the world, it was clear that what Gary Webb accomplished in life was fully appreciated and will never be forgotten. Gary was remembered and honored as he should have been. This is what will endure long after the bitter tastes and painful memories have faded from the consciousness of all who knew him. Gary Webb was a giant in a village of midgets. Gary's suicide was accomplished with two gunshot wounds to the head. In death Gary proved to be as determined and single-minded as he had been in life. Because of the rampant and ill-informed speculation that has been traversing the Internet it is a sad necessity to put this issue to rest right up front. What follows should be a warning and a lesson to all activists and progressives; to all those who dare label themselves as "journalists" without ever once following standard journalism protocols designed to ensure fairness and minimize unnecessary harm to the innocent and those already in pain. 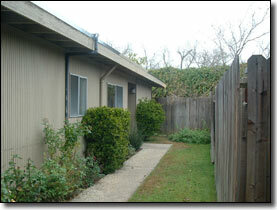 After arriving in this quiet suburb of Sacramento California I drove to and photographed the outside of the house in which Gary died. 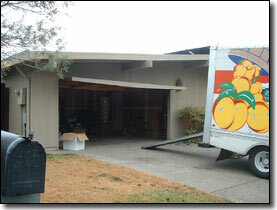 The new owners were still moving in and they were extremely gracious. Then I drove to a nearby Doubletree Hotel and met Gary's family. I note that not one of the so-called journalists eager to cry murder -- especially radio demagogue and sensationalist fear monger Alex Jones (See Below) -- bothered to pick up the phone, send an email or make any attempt to contact the family or any agency for their observations, wishes or facts. Not the slightest concern was shown by any of them for an already devastated family. The wounded were kicked and exploited when they were already down. For this there can be no forgiveness and no pardon. In other words, one of the most fundamental tenets of journalism - one that Gary himself would have honored and demanded - was completely ignored by people who demonstrated that they have no class, zero judgment and not the slightest thought for anything but their own self-serving needs. Gary Webb fired two shots from a .38 caliber revolver into his own head. The entrance wounds for both shots were at or near the right ear. However, for the first shot Webb had the gun angled downward which produced a through-and-through wound blowing out his lower left jaw. This was obviously not a fatal wound. His second shot, angled upward, successfully reached the brain, killing him instantly. As a former LAPD police officer and detective I have seen several suicides where multiple gunshots, especially from a relatively weak handgun like a .38, using inappropriate target ammunition, required multiple shots. In most cases the second and sometimes third shots were required because the victim made "hesitation" movements as they pulled the trigger, moving the gun barrel away from a fatal trajectory. There are many places on the human head to which a gunshot wound is not fatal (e.g. the lower and upper jaws, the cheeks, the roof of the mouth, the nose, etc.). Only a shot to the brain usually produces death but even that is not always guaranteed. I have seen attempted suicide and homicide victims survive after a .38 "ball" round had passed completely through and exited the opposite side of the skull. Based upon an initial statement I received from an unidentified Coroner's spokesperson on the day of Gary's death, I and others had suspected a shotgun had been used because of indications of multiple wounds and the fact that one statement indicated that there was substantial disfigurement. At the time, my notes indicated that the Coroner's staff member had said there was only one gunshot. That led me to suspect a shotgun. (12 Gauge shotguns using 00 buckshot release between nine and twelve pellets, each causing a separate wound.). However, in an initial email to certain activists, authors and leaders who knew Gary, I was careful to use the qualifying word "suspect" because we didn't know for sure what kind of a weapon had been used and I said so. Given what Gary's brother and ex wife were to tell me later it's just possible that the Coroner's staffer made a mistake. Her phones were ringing off the hook. That happens sometimes and that's why reporters double check things. The fact that Gary had used a .38 was not disclosed until a December 14th Coroner's statement and a follow-up story from the Sacramento Bee were necessitated by the hysterical rumor mongering an unbridled publishing coming from the activist-progressive community. Both Gary's ex-wife Susan and his brother Kurt viewed the body and they confirmed the location of the wounds to me when I met them. In addition, Gary left multiple suicide notes to family members which were confirmed to be in his own hand by them. He laid his driver's license out on the bed next to where he shot himself so that paramedics would be able to identify him. He had carefully placed his baby shoes in his mother's (her name is Anita and she is a real human being) storage bin. He had recently changed his bank account to make his ex-wife Susan the beneficiary. He had made statements to her in the days before his death that if this way the way he had to live he didn't want to continue. There had been no reported deaths threats against Webb and no physical violence directed against him in the days preceding his death. There had been no reported burglaries of his residence and Gary had mentioned no recent difficulties or threats of any kind to his family. Several members of his family had seen Gary in the last days preceding the suicide and nothing out of the ordinary had happened except for the fact that his motorcycle had been stolen. Many friends and colleagues were aware of what writing assignments Gary had been working on for a small local magazine and none of them had to do with the CIA or drug running or major government corruption even approaching the magnitude of the Dark Alliance stories. He had no pending book contract, no publisher and - in fact - couldn't even get a full time job as a reporter. He was not writing another book. Thanks to the LA Times, the Washington Post, the New York Times and all major print publications in the country Gary Webb had become virtually unemployable in the world of big newspapers or book publishing. Still he was never able to let go of his desire to be recognized in that milieu and those of us who knew him were fully aware of that. Because of the trashing of his reputation and the absolutely unforgivable abandonment he has received from his Mercury News editor Jerry Ceppos, any new Gary Webb exposé in a major publication would have been discredited, discounted and ignored as soon as the major media saw his byline. Veteran journalist and American expatriate Al Giordano described Gary's dwindling hopes and despair in detail in a brilliant essay titled "Do What Gary Webb Did". It is a painful read but well worth the effort for those who have doubts. A note warning movers arriving at Gary's house on Saturday morning, asking them to not enter the house but call paramedics had been taped on the front door. Gary was well-familiar with police procedures from his years as an investigative street reporter. He protected the crime scene for them. He knew that a homicide (suicide) crime scene could not be initiated until after an official pronouncement of death. Police officers cannot pronounce death. Only paramedics or doctors can do that. That was the first step and he knew it. He was careful to leave his license next to where his body was found to expedite the identification process. He was thinking of the paramedics and the cops and making their job easier. He had been scheduled to vacate his house that day because - due to his chronic inability to get a job with a large newspaper - he was unable to keep up the payments. It had been sold and he was moving out. Ironically his stolen motorcycle was recovered by the police just a few days after his death. These are facts that cannot be faked unless one was to assume that Gary Webb was a willing conspirator in his own murder. The fact of Gary Webb's suicide is open and shut. 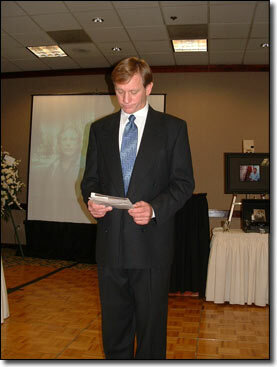 Gary was eulogized by his brother Kurt, his ex-wife Susan, his former sister-in-law Diana, his sons Ian and Eric, and his daughter, Christina. 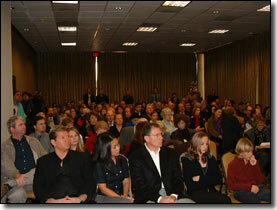 His grieving mother Anita and his uncle sat weeping in the audience, unable to speak from the podium. 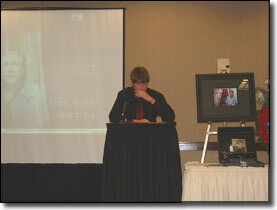 Kurt recalled that Gary's first demonstrated passion for writing came when Gary was eight as he won an award for a school essay titled "What America means to me". Later, the two brothers came across an antiquated mimeograph machine. While Kurt quickly tired of the cumbersome process required to print a single sheet of printed text, Gary persisted - as was his nature - and rejoiced when he found that he could publish the written word. 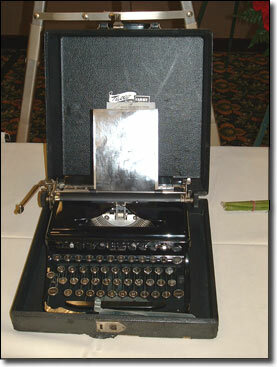 Gary's first typewriter sat nearby on a table next to the podium as his brother choked through tears. Writing was clearly Gary Webb's truest passion. Gary later wrote for his high school paper, becoming its music critic prompting his brother to observe, "Even though he had no musical talent, he certainly had an opinion." Webb's brother then paused - as if reflecting on the harm caused by internet rumors - "Gary would never print anything unless he had checked it a couple of times over." Before ending his eulogy, Kurt Webb left us a visual picture that will forever ring true with any serious journalist or author who has ever written about the CIA and drugs, or about government corruption. "We would see him slaving into the dark night to pursue his stories and that is the way I will always remember him." Ian, one of Gary's two sons read a letter expressing profound grief from California congresswoman Maxine Waters who had championed Webb's stories in 1996 and 1997. The remaining family members spoke briefly, struggling to find words to express their feelings through their tears. It was absolutely apparent to all who were in attendance that Gary was deeply loved and he left behind a wonderful, courageous and beautiful family. I was the first to speak after the family. I had come bearing messages from Peter Dale Scott (The Iran-Contra Connection, Cocaine Politics, Deep Politics and the Death of JFK), Congresswoman Cynthia McKinney, former Assistant HUD Secretary Catherine Austin Fitts, former DEA agent and Bronze Star recipient Celerino Castillo (Powderburns), Al Giordano (Narconews Bulletin) and former US Army Special Forces Master Sergeant and author Stan Goff (Hideous Dream and Full Spectrum Disorder). After delivering these incredible messages I made some personal observations which hit the family hard and brought tears to all of us. I have only disclosed it to a few close friends over the years, but in the week prior to the publication of the Dark Alliance series in 1996 I had been wrestling with suicide myself. I had been trying to tell the world about CIA drug dealing for seventeen fruitless years and no one would listen. At the time I was broke, homeless, divorced, hopeless and fully convinced that the great effort of my life had amounted to nothing. I had been labeled crazy by the press and I had known the weight of a corporate media determined to destroy my reputation. FTW and my book, Crossing the Rubicon: The Decline of the American Empire at the End of the Age of Oil, would never have existed had it not been for Gary Webb. The best achievements of my life came to me because Gary Webb opened the door for them. Gary gave me back my purpose but ultimately he lost his. It was as if Gary Webb removed the gun from my mouth only to have it ultimately placed against his own head. I concluded my remarks by asking the entire audience to join me in a Latin American salute for comrades fallen in battle. As I called an imaginary roll of heroes about to enter battle against the forces of oppression I called Gary Webb's name and 300 people in unison responded, "Presenté." I was followed by many people who knew Gary: Journalist/author Lisa Pease; FBI Agent Lok Lau who quipped "The truth will not set you free. It will get you fired"; Faye Kennedy of the Sacramento area Black Caucus; former colleagues and professional journalists Tom Dressler and Kim Alexander who spoke for all of the real reporters present in praising Webb's skills, professionalism and dedication; a Hollywood screenwriter and many other people whose lives Gary had touched. 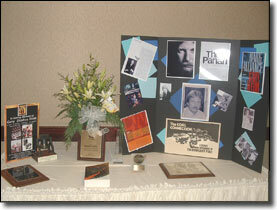 The room was filled with awards from his lifetime of writing, truth-telling and ceaseless digging. There were more tears shed than I care to remember. There were laughs and there was, above all, the great unanswered question: Why? Only Gary Webb knows that. There were many hysterical, unfounded internet rumors and wild stories circulated in the days following Gary's death. Unfortunately, almost all of them reached his family; the human beings you see in these pictures. I was even accused of participating in Gary's murder because I wrote that I had as yet seen "no reason" (i.e. evidence) to suspect murder and I, like many others had known pieces of Gary's state of mind in the months and years prior to his death. None of these outrages inflicted upon Webb's family surpass those of radio demagogue Alex Jones and internet activist John Hankey. The internet is an indispensable tool which brings us the BBC, major publications, university research, data bases, instant communication, and authentic investigative journalism. It also brings us a host of so-called journalists - angry, selfish children playing with the loaded weapons of powerful words who contaminate this medium with garbage. Because the internet must always - like free speech itself - be free from censorship (for as long as we can keep it that way) we will have to endure the work of people who have no conscience, no ethics and little or no skill. But the marketplace of ideas does work on the internet and I am going to put it use right now. UPDATE: CORONER's INITIAL FINDING: GARY WEBB's DEATH CONFIRMED AS SUICIDE / NEW EVIDENCE BEGINS TO INDICATE GARY WEBB WAS MURDERED MOST LIKELY CIA OPERATIVES HE WAS GETTING READY TO EXPOSE AGAIN / WEBB SPOKE OF DEATH THREATS AND SEEING 'GOVERNMENT PEOPLE' LURKING AROUND HIS HOME / WAS HE ANOTHER DANNY CASOLERO?! - by Alex Jones & Paul Joseph Watson. Upon seeing the headline I laughed. Danny Casolaro was a real journalist whose murder was made to appear a suicide but Jones could not even spell his name correctly. Jones has a large syndicated and internet radio show for which he claims a listening audience of "millions". Strange that he could not reach out into his vast empire to have someone in the Sacramento area check just a few facts before he published and sent his garbage out straight to Webb's family. FTW does that with its subscribers frequently because we - like Gary Webb - spare no effort to get it right. Jones conducted separate radio interviews on the 14th with a former "business partner" of convicted drug dealer Ricky Ross and a second guest, retired DEA Agent Celerino Castillo. Later Jones injected second-hand source comments (i.e. hearsay) from an alleged documentary film maker which were attributed to Ross. Ross' life and his selling of literally tons of cocaine in Los Angeles had been Webb's entrée into the dark world of covert operations. Castillo apparently had no idea his remarks were being aired in context with these statements - now known to be lies - made by a drug dealer. That part was apparently edited "for effect" by Jones later on. Cele and I have been friends for a long time and both of us knew Gary Webb well. At the time of that interview - he had not learned any details yet - Castillo stated that it was possible that Webb had been murdered but he didn't know. I talked to Castillo later that same day and he was clear that he knew that Webb's life wasn't going well and that it could just have easily been a suicide. He just didn't know. But that's not the way Jones played it for his listeners and readers. No. Prior to interviewing Castillo, a colleague of Jones had interviewed Ross. Here are some excerpts of the Alex Jones written story published later that same day. Since no other sources are named - no family members, no colleagues, no one who had spoken to Webb personally - then Jones' credible sources are two of the largest drug dealers in West Coast history, one of whom (Ross) has spent almost two decades in prison. Hey Alex, drug dealers lie! And I am about to prove it. So do you. Today's Alex Jones Show, aired on the GCN radio network featured interviews with Chico Brown and Cele Castillo. 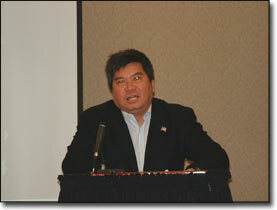 Castillo is author of "Powder Burns - Cocaine, Contras & The Drug Connection." A retired DEA agent, Castillo personally witnessed CIA drug smuggling operations. Chico Brown, was former business parter [sic] and co-defendent [sic] with 'Freeway' Ricky Ross, the biggest drug dealer on the west coast supplied by the CIA. Ricky Ross, one of Gary Webb's primary sources [Gary would have a big problem with this statement] had spoken to Gary in the days before his death. Gary told Ricky that he had seen men scaling down the pipes outside his home and that they were obviously not burglars but 'government people'. Gary also told Ricky that he had been receiving death threats and was being regularly followed. It was also mentioned that Gary was working on a new story concerning the CIA and drug trafficking. Former DEA agent Cele Castillo concurs that Webb was murdered and that in such a 'revenge hit' situation it was common in his experience that the murderers would have likely talked to Webb at length about how and why they were about to kill him. In a death of this nature a homicide investigation would be par for the course but the media is complicit in bleating like well-behaved sheep to the acceptance that this was a suicide. I wonder how come Ricky Ross didn't know that Gary's motorcycle had been stolen. It was the only out-of-the-ordinary event in Gary's life in the months prior to his suicide. 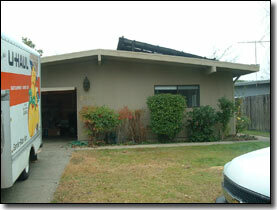 Above are photographs I took of Gary's house (2016 Clearfield Way in Carmichael, a Sacramento suburb) showing clearly that it is a one-story house. There is no balcony anywhere and there are no pipes for Ricky Ross' Ninja warriors to slide down. There are aluminum drain spouts visible but they would not support a man's weight and I am at a loss to understand why a government Ninja would want to slide down it since the eave of the roof is barely seven feet off the ground. It would be much easier to hang from the edge and then drop a foot or two. And what would have been the purpose of being on the roof anyway? There's no door there. How did these Ninjas get on the roof? Many credible activists and journalists - including this writer - have been previously burned by Jones' hyperbole, salacious sensationalism and eagerness to play loose with and even fabricate facts in the past. But this travesty is beyond the pale; beyond redemption. But there is someone else who made Alex Jones look almost credible by comparison. His name is John Hankey and he sent FTW Science Editor Dale Allen Pfeiffer the following email a day before I flew up to meet Gary's family. > It seems Gary's colleagues, who should be rushing to his defense, are falling down. Ruppert says to "send flowers". Alex Coburn says, with no evidence, that it was probably a suicide and that Webb was depressed about his career. > I'm just a school teacher, but I hired an investigator with money I don't have to go to Sacramento to see what he could see. > My investigator says that Webb's brother says the writing on the notes is not Gary's. The one big issue now is paying for the second autopsy Cyril Wecht is the foremost authority and it is inspiring that he has offered to do it. > I've never met Gary, and can only claim to be inspired by his courage and his work Further, I'm a poorly paid school teacher and can't possibly carry this financial burden I am pleading for his colleagues to take the question of his death personally, to ask yourselves what you would want us to do if you were "suicided think about that, and then do that for Gary. > Utterly impromptu, I have been appearing on radio shows begging people to send a pledge to my email address, [email protected] So far I received about $150 in pledges Pretty sadI [sic] pray his colleagues are more resourceful I'm grateful for alternative suggestions and initiatives. This man is teaching children? When I gave a copy of Hankey's email to Gary's brother, his face turned crimson. He had seen Gary's notes and they were in Gary's handwriting. Sue, his ex-wife agreed. To everyone's knowledge no outside investigator had been allowed to view the body and that too was objectionable to him. Only a few family members had seen Gary. Only an investigator hired directly by the family through an attorney would have ever been allowed to view the body by law. Even though I have tried to dispel as many of these disgusting stories as possible I had to hand Hankey's email over to Kurt who said that he would gladly take care of the problem himself. I can only imagine what has happened to Mr. Hankey since and I sincerely hope for the worst. Kurt did tell me that a second medical examiner had been called in to view the body and concurred with the initial findings. He added that as a gesture of courtesy the Coroner's office was going to bring in yet a third expert to examine the body. No one in Gary Webb's family expressed even the slightest doubt as to what the findings would be. They had all - to one degree or another - seen it coming and as his ex-wife Sue wrote to me, "We are all kicking ourselves over it." So am I. So are all the people whose words I carried to Sacramento. Gary Webb was loved. Gary is still teaching us from beyond the grave. Isn't it strange that the people who actually knew Gary Webb, and who were professionals like he was, all behaved one way; and that - sadly - many of the people who never knew him and have never been trained in journalism or investigative procedures behaved another? 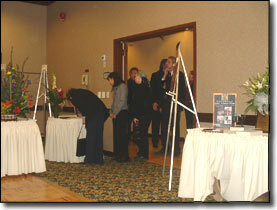 Mourners line up to sign the guest book Some of Gary’s many awards and memorabilia. “Crossing the Rubicon” was placed on the table by Gary’s ex wife Susan. This is a time for all of us who are activists, professional investigator and journalists on the internet to distinguish and separate ourselves from those who do not employ professional standards for their investigation and reporting. These standards are used to make what is consumed by a sometimes too-trusting readership trustworthy and useful. It is a matter of love and honor for those who read what we write. Just as the dishonest mainstream media distances itself from those of us who use this powerful medium out of fear, it is time for those of us who care about getting it right to draw an unmistakable line between ourselves and the internet "trailer trash" who detract from the very, very difficult job that Gary Webb gave his life for: Telling the truth, getting it right and proving it in a way that can be trusted… No matter what the cost. This is what Gary Webb taught us.